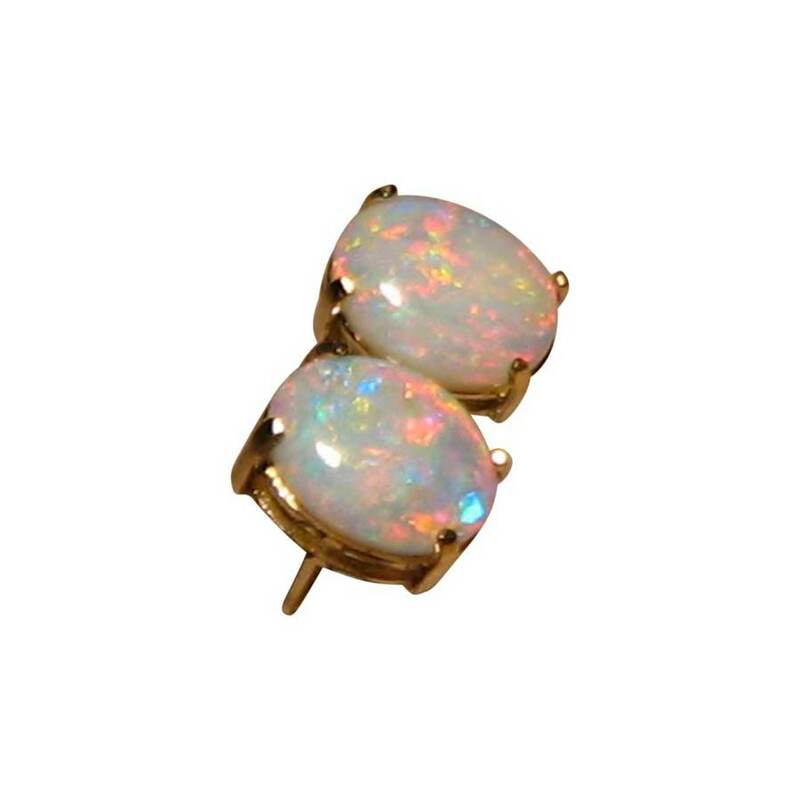 Classic stud earrings with oval White Opals with beautiful colors prong set in 14k Yellow Gold. 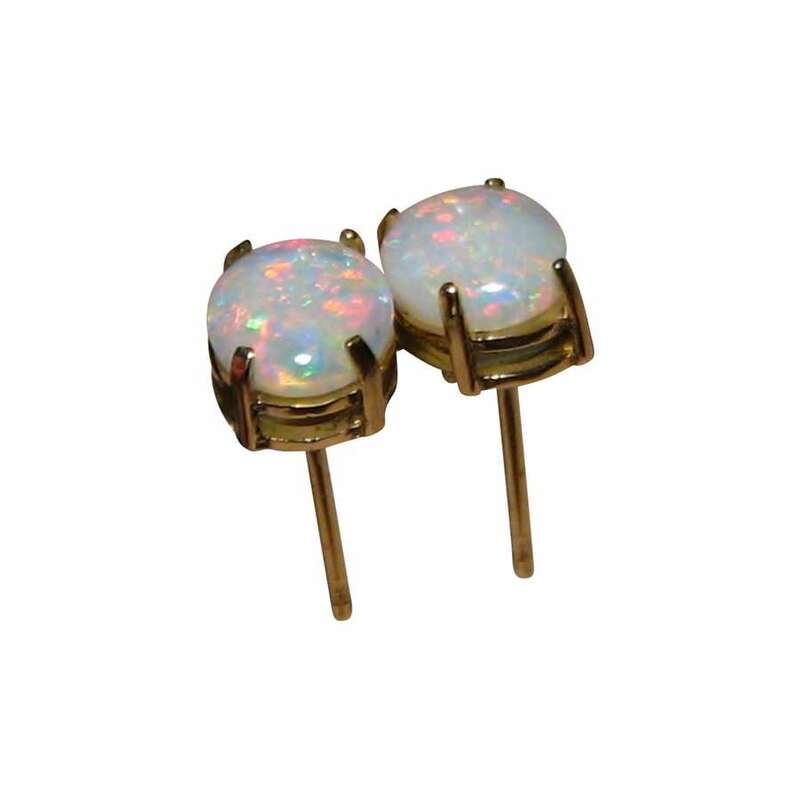 A pair of White Opal stud earrings that show a beautiful mix of Orange, and Yellow with some Green. 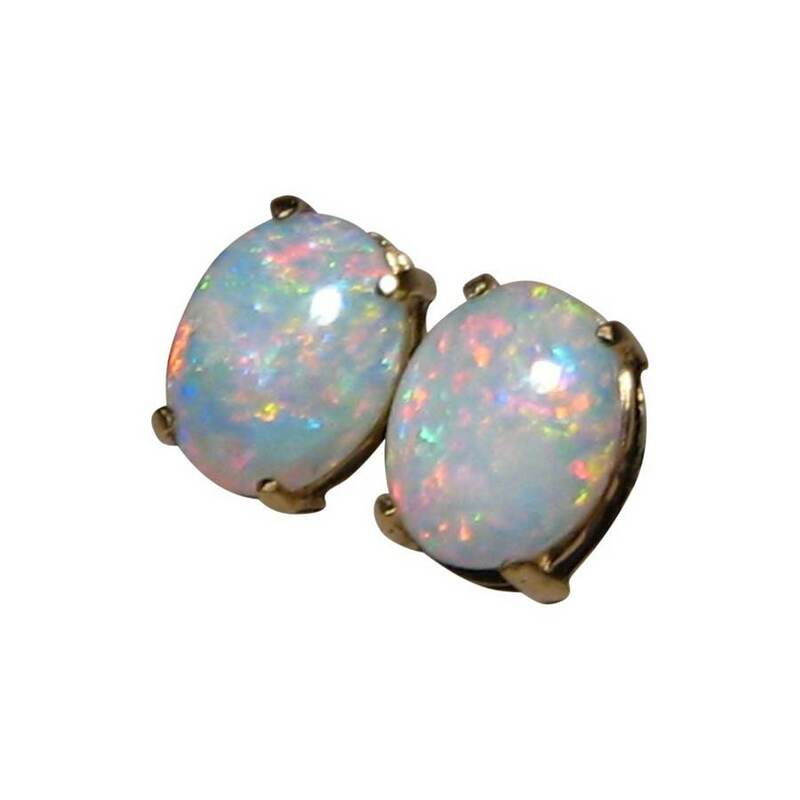 Prong set in 14k Yellow Gold, the Coober Pedy White Opals have a combined weight of 2 carats and have good brightness that show at arms length. 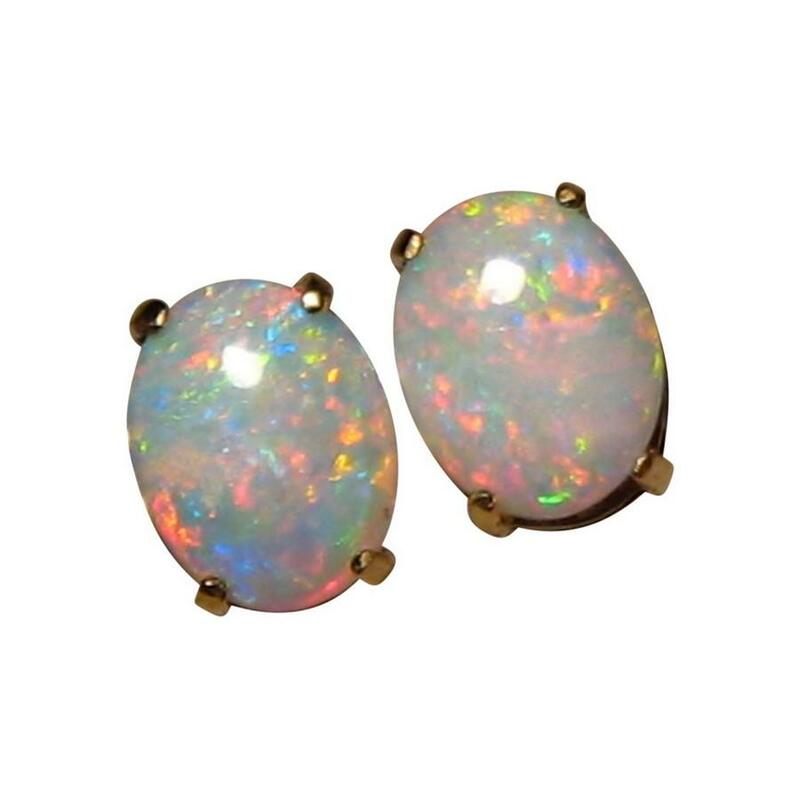 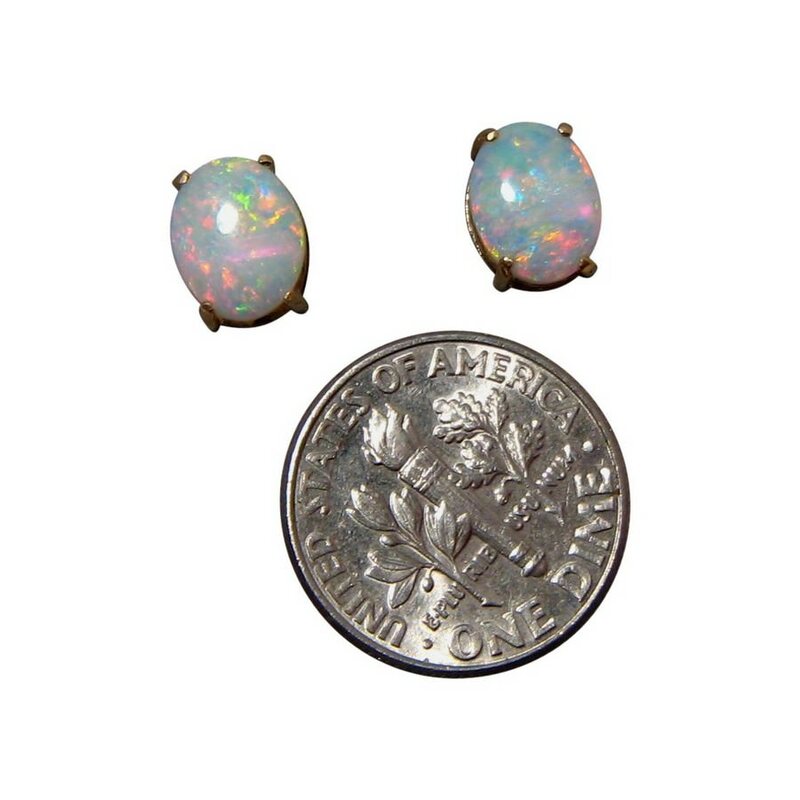 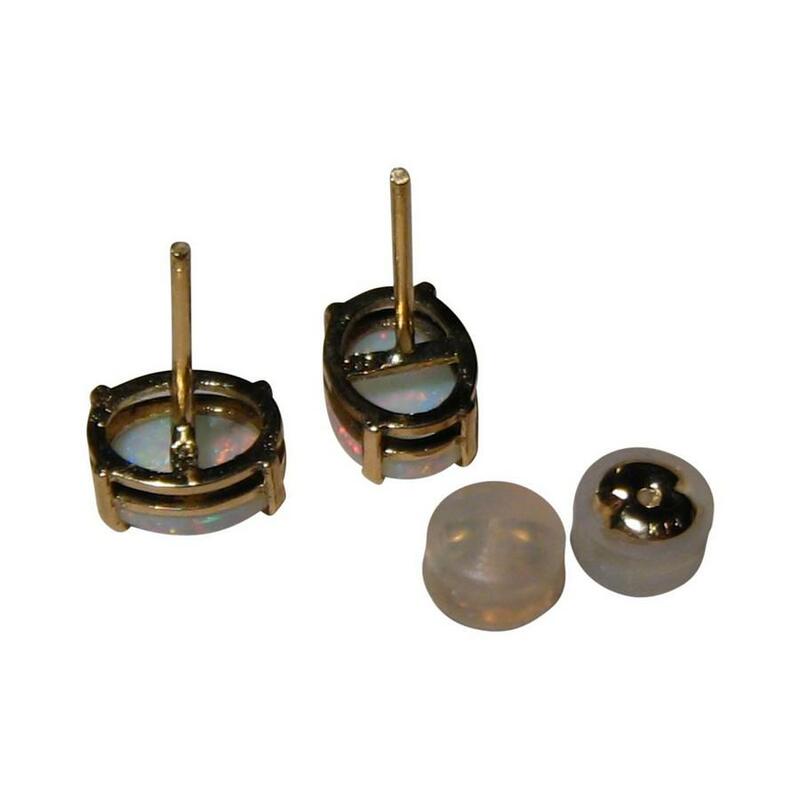 These classic style of Opal earrings are a great matching pair and are ready to ship now.